It is no secret that I love my coffee. I also like personalized cups and have a few more than the average person (I cycle them through as water cups at work). After seeing a Custom Starbucks inspired cup on Pinterest, I knew that I needed to make one myself. 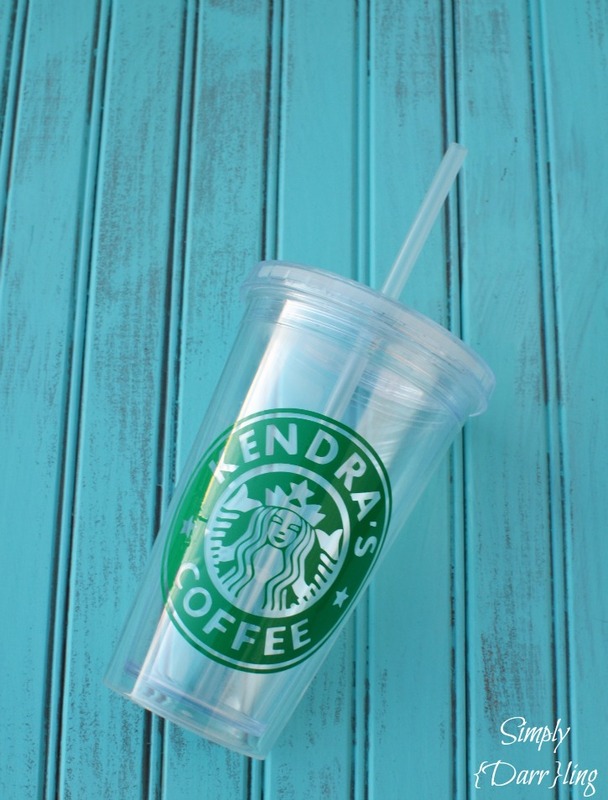 I started with a clear acrylic tumbler and the logo SVG file from Cut by Connie. The font for the name is Aharoni. The Silhouette School Blog features a great tutorial on how to curve text. This is how you will fit your name into the shape. Size the shape to about 3.5″ in diameter. When I was creating the shape, I found that it was helpful to color the design so that I could make sure that I removed all the unnecessary points. When I originally started working on the design, some of the shapes had extra lines (like the words – they were double outlined). For the vinyl, I used the dark green from this assortment. Make sure that you use permanent vinyl so that it stays on even through the dishwasher. I love how this cup turned out. It would work great on a hot coffee cup as well, but I have a bunch of the cold tumblers already. I’ve already take it to work for the cup of the month (I keep making more cups and just cycle them through). What do you think? What would you put on a cup? This post is provided for personal use only. 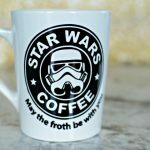 It is no way affiliated with Starbucks. I had fun making this cup for myself and thought that some others would enjoy seeing it as well. I LOVE this!!! I need to make it pronto! Thank you. OMG! This is incredible!! I need one ASAP! NO way! 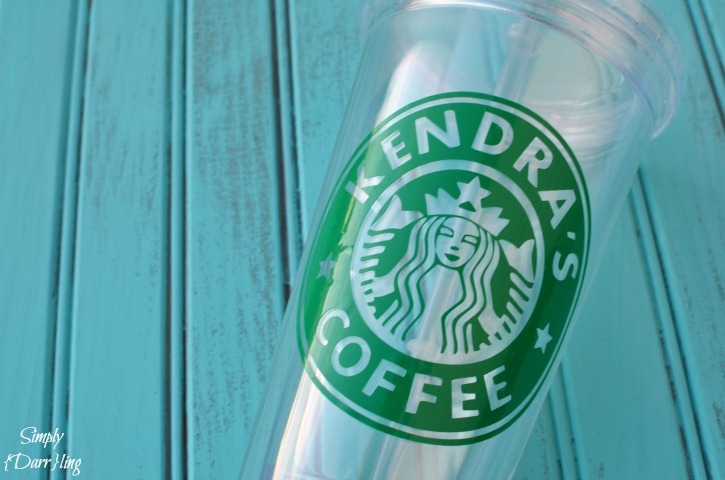 I’ve absolutely got to get myself one of these– especially with how much I’m drinking Starbucks iced coffees during the summer! Can I just pay you to make me all the things? This is amazing! Oh my gosh! I need that in my life! This sooooo cute!! I want one!! 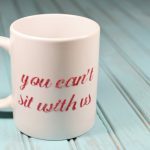 This is so cute and even more proof that I need to invest in a Silhouette cutter! I LOVE this. I want one. This is awesome and so very clever! What a fun idea!! Would make a great gift! What a great idea! 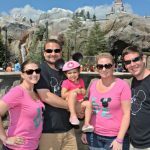 Thanks for linking to the This is How We Roll Link Party. See you on Thursday! Sorry, I’m not selling these. Cab you send me your svg file? I don’t have the file anymore, I switched computers and it got lost in the transition. I have been to the web page that you had a link to, the one where the Starbucks logo is supposed to be and I see a bunch of really cool logos that you can manipulate, but I’ve never seen the Starbucks logo there. Do you know something I don’t know? LOVE this cup by the way! Did you click on the “Cuts By Connie” link? It goes directly to her page with this SVG file. The font name is Aharoni. I believe that it came installed on my computer. Kendra, Good morning I just found your blog. This is a neat idea for some gifts for Christmas but when I click on the links the starbucks is no longer available is there anyway you can send me it to me thru email. I tried clicking on her link cuts by Connie but it does not let me download it. I would really be grateful. Clever! Thank you for sharing with us at Snickerdoodle Sunday! I’m addicted to starbucks, I love it so much! Here where I live now, the closest one is about an hour away, so no more daily coffee runs for me! But this would be just great! Fun gift too!!! So stinkin’ cute! I really want one of these for myself!!! Thanks so much for sharing at Share The Wealth Sunday! when I tried to download the SVG file it isn’t recognizing it. I have a MAC. ??? 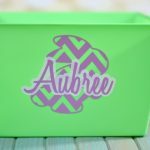 HI Kendra, I am just getting started on my cricut explore. I have read online that you can only edit the Starbucks file to change the name, etc. if you have a Silhouette. Do you know if this is true? I am really wanting to make this for mom, whose name is Kendra as well! Could you email the png. or online image of Kendra’s copy if possible? I just got a Cricut Explore One and was able to make to make work off the svg file….it is in two layers and I had to separate the ring with the name to do any editing. Happy crafting, hope this helps. This is such a cool idea! And a great gift idea for any coffee lover. Thanks for sharing with my link up.